The City of Oakland Sick Leave Laws took effect March 2, 2015. Although the State of California also has sick leave laws, there are some key differences between Oakland Sick Leave Laws (measure FF) and California’s Healthy Workplace, Healthy Families Act (AB1522). Whenever there is a discrepancy, the stricter of the sick leave laws have to be complied with by businesses in Oakland City. The purpose of this article is to provide a comprehensive overview of the sick leave laws for the City of Oakland and to answer some important frequently asked questions. History behind the Sick leave & Minimum wage law. Voters of Oakland City voted in the Oakland Sick Leave Law in November 2014. Included in the sick leave law was a minimum wage adjustment. The minimum wage adjustment is based on the Consumer Price Index for urban wage earners and clerical workers for the San Francisco-Oakland-San Jose, CA Metropolitan Statistical Area. In March 2015, the minimum wage in the City of Oakland was increased to $12.25. Oakland Minimum wage posters and information can be accessed here. Employers cannot use tips as a credit toward an employee’s minimum wage. Tips are considered additional earned income. Yet, employers do not have to factor in tips when calculating the hourly amount of paid sick leave. Paid sick leave is based on the employer to employee hourly compensation. Employers are also required to give notice of the minimum wage to all employees. Hospitality Service Charges must be paid to the workers who perform those services. This includes service charges, delivery charges, and porterage charges. All hospitality businesses are covered under the law including hotels, restaurants, and banquet halls. Starting March 2015, employees who work at least 2 hours a week inside the geographical limits of the City of Oakland accrue sick leave 1 hour of paid leave for every 30 hours worked. This applies to all employees who are not already exempt from the California Sick Leave laws. Sick leave accrues in full hour increments. Employers can only limit the use of sick leave during the first 90 days of employment, as opposed to accrual. Sick leave can be capped at up to 72 hours a year and employees can use the full sick leave accrued during the year. The amount of sick leave cap depends on the size of the company. This is vastly different from the California Sick Leave laws, which allow users to be capped at 24 hours an accrual at 48 hours each year for every size of business. Sick leave doesn’t need to be paid out upon termination of employment. All employees who work within Oakland City Limits for 2 hours a week or more are eligible for the Oakland Paid Sick Leave. This includes full time, part time, temporary and seasonal employees. This includes employees, whose employers or places of business are located outside of city limits. While the employee is within city limits, they earn sick leave. As a result, many employers located throughout California and the USA with occasional-basis employees must comply with the law. Occasional-basis employees are employees who come to Oakland City in the course of their business or who may work a limited number of hours within city limits. It is important for these external employers to be aware of the Oakland law. If a business isn’t located in the City of Oakland but has employees who perform 2 hours or more of work inside the Oakland City limits, then the business must comply with the Oakland Sick Leave Ordinance and provide paid sick leave. The business must also pay the employee the Oakland Minimum wage for the time worked inside Oakland city limits. If the business does not allow the employee to use the Oakland sick leave when they are outside of city limits, then the accrued paid sick leave remains “in the bank” for four years from the date of the employee’s last working day in the City of Oakland. Those accrued hours are available for the employee anytime during the following four years if the employee should happen to work in the City of Oakland. Three exceptions are included, self-employed individuals and independent salespersons and persons participating in a National Service Program. Employees are allowed to use sick leave when they are ill or injured. They can use sick leave to obtain medical care, treatment, or a diagnosis. Additionally, employees can also aid certain family members who are ill or injured. Oakland City doesn’t specifically designate sick leave use for safe-time, but California Sick Leave law does. Victims of domestic violence, sexual assault, and stalking can use California paid sick leave to obtain safety, remedies, pursue legal action, and get treatment for any mental or physical illness resulting from the abuse. The Oakland ordinance references the California Sick Leave acceptable uses, but is not clear as to whether or not abuse victims would be entitled to sick leave under Oakland’s paid sick leave. Oakland recognizes all biological, adopted, step, and foster relationships. Family members that employees can take sick leave to help their children, parents, sibling, grandparents or grandchild. Legal guardians or wards are recognized. Additionally, the employee’s spouse or domestic partner also qualifies as an allowed individual for sick leave usage. The sick leave law does not recognize in-law relationships as a qualified person to take sick leave for. When the employee isn’t married or doesn’t have a domestic partner, that employee can designate another individual for sick leave use. The employee has 10 days a year to designate the individual and be offered the chance to designate another individual within the first 30 days of employment. The employe must be allowed up to 10 days to make the designation. Employees earn sick leave at the rate of 1 hour for every 30 hours worked. Small employers are considered those with less than 10 employees. Large employers have 10 or more employees. Employees of small businesses are able to accrue up to 40 hours of sick leave each year. Employees of large employers can accrue up to 72 hours of sick leave each year. California Paid Sick Leave defines small employers as having less than 25 employees employed. This means that businesses that have between 10 and 25 employees must navigate between the large employer rules in the City of Oakland and the small employer rules for the California State Sick Leave Law. How does a business determine if its a small business if its employees fluctuate? Small businesses can limit sick leave accrual to 40 hours a year. Small businesses are defined as having less than 10 employees. If a business’s employee numbers fluctuate throughout the year then the business should look at the average number of employees for the previous years based on 52 weeks in the year. The business should add up the employees for each of the 52 weeks and divide the total employees by 52 for an annual average. If the average is below 10, then the business is considered a small business. A new business should calculate its employee size based on the number of employees working for it for the first 90 days after the first employee started. Thereafter, it should use the previous year’s average employee count. It is important to note that Oakland doesn’t differentiate between part time and full-time employees for the purpose of calculating employee size. Full Time Equivalent doesn’t factor into determining employee size. 11 part-time employees would cause an employer to be considered a large business and those employees would have a cap of 72 hours of paid sick leave a year. Seasonal employees also count toward the employee count. According to the Oakland ordinance, sick leave accrues for all hours worked, even over time. If, however, an employee is exempt from overtime through the Fair Labor Standards Act (FLSA) and California Law, then accrual is based on a 40 hour work week. If the exempt employee regularly works less than 40 hours a week, then sick leave will accrue based on the regular hours worked by the exempt employee. Employers can require employees to use sick leave in a minimum of 1-hour increments. This is not a legal minimum as employers can also allow employees to use sick leave in smaller increments. Employees retain their sick leave accrued hours for up to 4 years. Sick leave that is not used is rolled to the following year. If an occasional-basis employee earns Oakland paid sick leave but then doesn’t use the sick leave or work in Oakland on a regular basis, then that sick leave is still available to the employee for up to 4 years. The employee can use the sick leave when they are scheduled to work in Oakland again. Unlike the State, the Oakland Sick Leave Ordinance doesn’t give employers an option of front-loading sick leave pay at the beginning of the year for a smaller cap allowance. 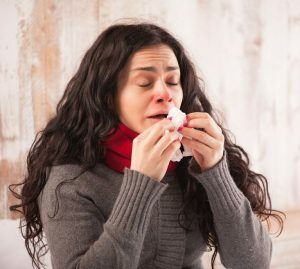 Unlike the California upfront provision, employers can not lower the sick leave accrual by front-loading sick leave at the beginning of the year. Additionally, California’s laws allow employers to limit sick leave use to 24 hours a year and accrual to 48 hours a year. The City of Oakland doesn’t differentiate between accrual and use and requires employers to allow the use of all accrued sick leave during the year. Plus the City of Oakland doesn’t recognize in-law relationships for use of sick leave, unlike the California law. Oakland also allows for reasonable verification requirements by the employer, not to exceed $5. If an employer provides Paid Time Off and it allows the employee to use PTO in compliance with Oakland Sick Leave provisions, then the employer does not need to provide additional paid sick leave. The employer cannot require that the employee find a replacement worker for their sick leave time. However, the employer can require a reasonable notice prior to sick leave taken. This must take into account that there are certain situations in which sick leave taken doesn’t allow for a reasonable notice. Some of those things may include emergencies, sudden illness or accidents. The employer can also define “reasonable period” as 2 hours prior to the employee’s shift.. Additionally, employers can require employees to use sick leave in 1-hour increments. The employer must also provide a reasonable method for employee communication such as a phone number with a voicemail or a person answering the phones. Employers can require that an employee provide proof of sick leave, but if the cost of the sick leave proof exceeds $5, then the employer is required to cover the difference of the cost above $5. The employer can also establish a requirement that is considered reasonable. Generally, a policy that requires a doctor’s note for 3 consecutive days of missed work is considered reasonable. The Oakland Ordinance prohibits retaliation from an employer against an employee who takes sick leave or files a complaint against a company’s non-compliance with Oakland’s paid sick leave law. This includes discharging employees or reducing compensation. Other retaliations are defined as demotion, reduction in hours or pay, discouraging complaints about noncompliance with the Oakland ordinance, and reducing PTO or other non-wage benefits. Does the employer have any protection against sick leave abuse? If the employer suspects sick leave abuse, the employer may require additional documentation to ascertain if the employee is abusing paid sick leave. This could include requiring a doctor’s note, even if the employee has taken less than 3 consecutive days of paid sick leave. If the employer’s suspicions are not confirmed the employer must comply with the city ordinance. If the sick leave abuse is confirmed, the employer is allowed to discipline in accordance with its disciplinary policies and state and local laws. Employers can suspect an employee of sick leave abuse for several reasons that are not limited to these three examples. 1) The employee requests vacation and is denied paid time off and subsequently uses sick leave for those days. 2) The employee habitually uses sick leave on a Monday or a Friday, or any day that follows or precedes a holiday. 3) The employee uses sick leave when they are scheduled for shifts that are considered undesirable. Employers may not fund the increased compensation of paid sick leave by reducing employee compensation or increasing their charges for parking, meals, uniforms, or other items. Additionally, employees may not waive their right to paid sick leave or to the Oakland minimum wage law. Employers are required to maintain records for 3 years. Employers should maintain records of the employee’s name, hours worked, pay rate, and sick leave accrual and usage. Employees have the right to a copy of these records and employers must provide a copy to employees upon request. Employers must also provide documentation to new employees of the sick leave policy. Businesses who have employees in the City of Oakland, San Francisco, Berkeley and a growing list of other cities may have to comply with multiple conflicting City ordinances defining Sick leave accrual and usage laws. Additionally, these businesses have to also comply with California Sick Leave laws and maintain compliance with Federal Overtime Laws, the Family Leave Medical Act and any other national or local laws that are enacted. SwipeClock provides a comprehensive array of workforce management and time tracking tools that can help businesses to more easily stay in compliance with local and national laws. Records are effortlessly kept for years and accrual is automatically tracked and reported to employees according to the state and city laws. Additionally, with geo-timekeeping clocks, businesses can effortlessly track time worked in specific cities to ensure compliance. Written by Annemaria Duran. Last updated on March 16, 2017.